Ground Penetrating Radar, also known as GPR, is non-intrusive sub-surface imaging. It provides a very detailed picture profile of what lays below the surface. 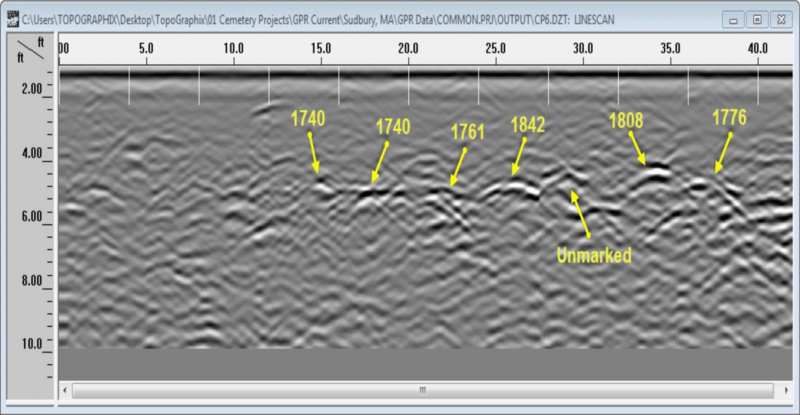 GPR Services are perfect for finding unmarked graves, locating buried headstones, and burial vaults. Ground Penetrating Radar Mapping Services are ideal for verifying casket positioning as well as establishing lost or available grave space and markers that have moved. Furthermore, for cemeteries with missing or destroyed burial records, Ground Penetrating Radar Services will produce a composite sitemap indicating grave locations, positions, and depth. 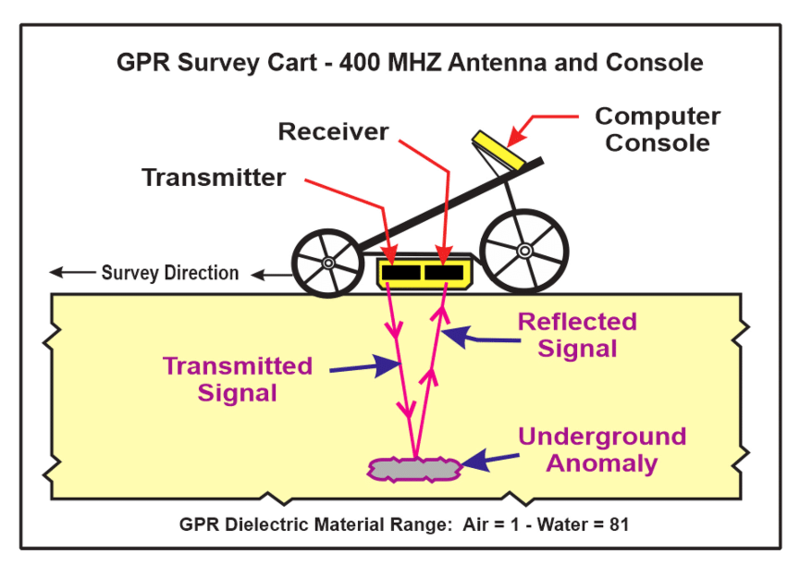 Ground Penetrating Radar is used to investigate and map sub-surface areas for vault and foundation locations. Similarly, It is perfect for finding unmarked graves, mass burial sites, underground utility cables, and buried pipes. The two pictures you see below show six dated headstones from a Revolutionary Pre-Civil War Era cemetery. 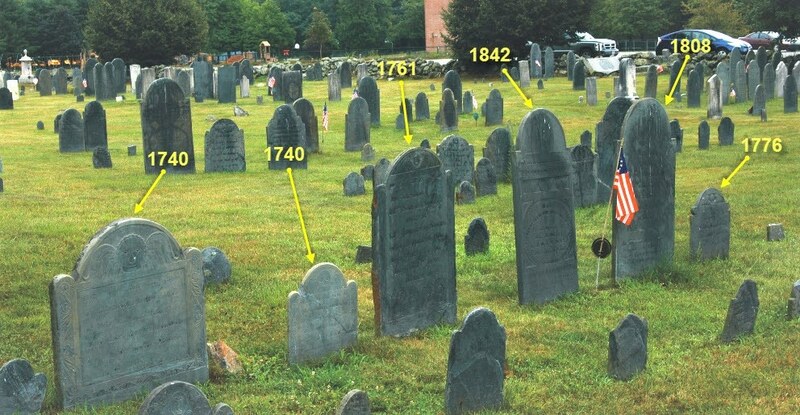 The picture on the left shows the dates on the headstones and a GPR profile. The image to the right shows the same six burials as they appear on ground radar.